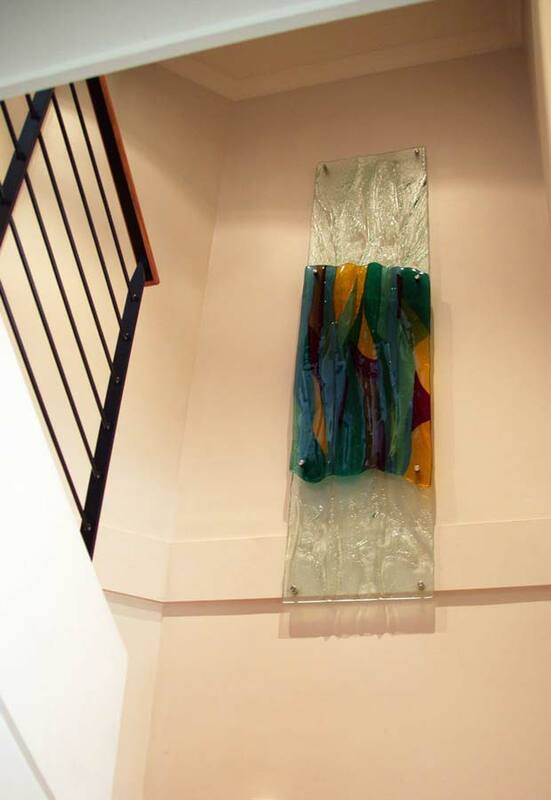 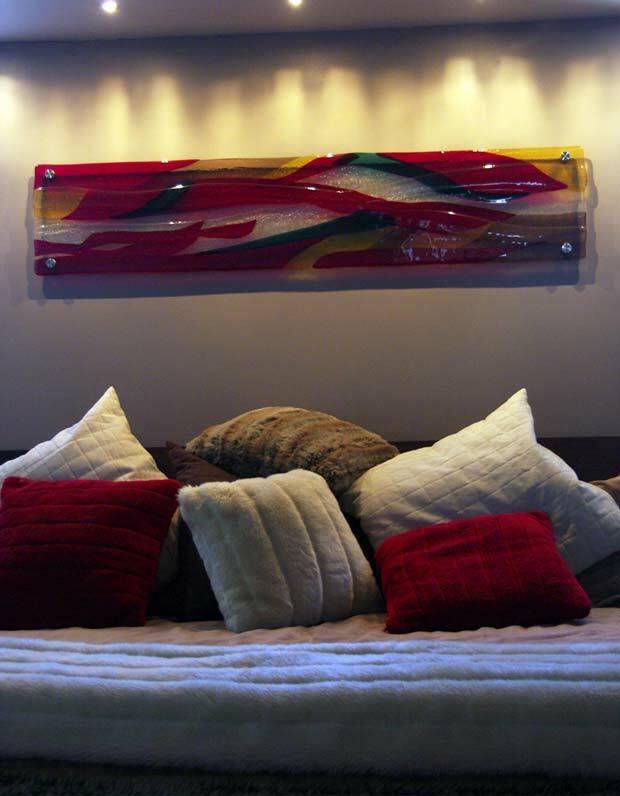 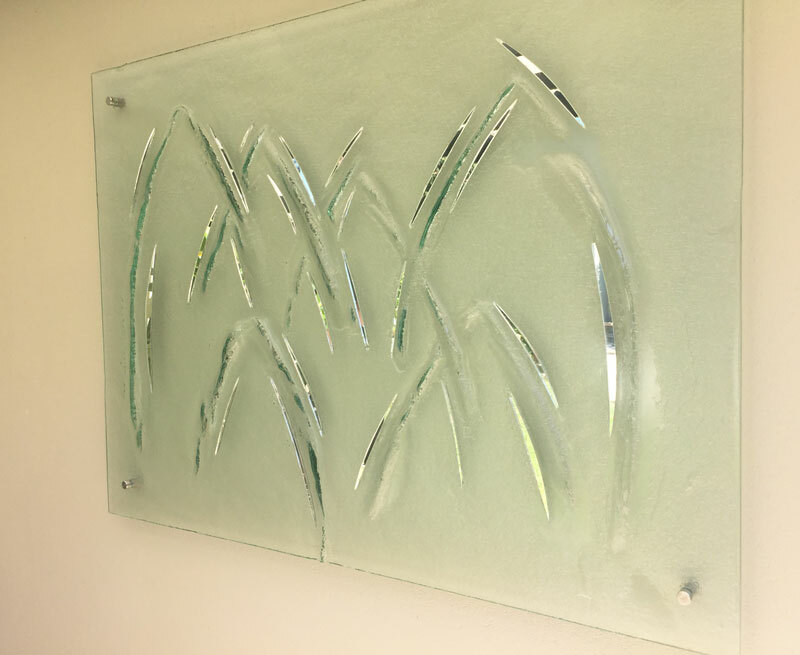 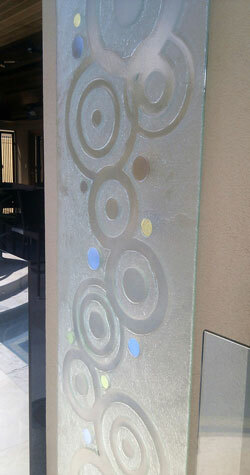 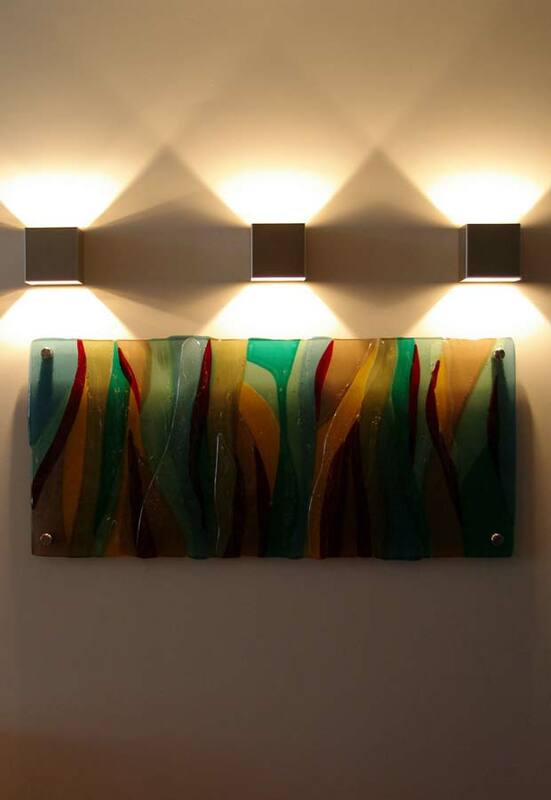 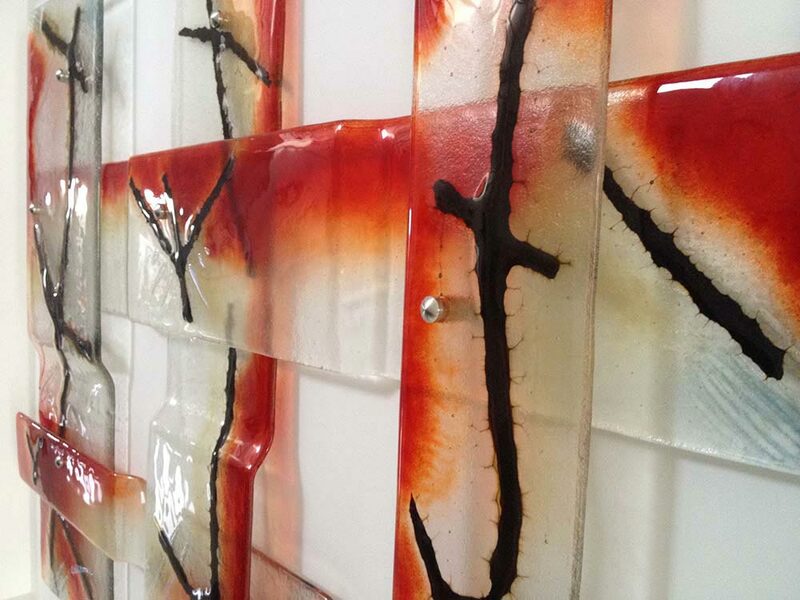 This fused glass wall art for a private home in South Perth is approximately 1000mm x 1500mm. 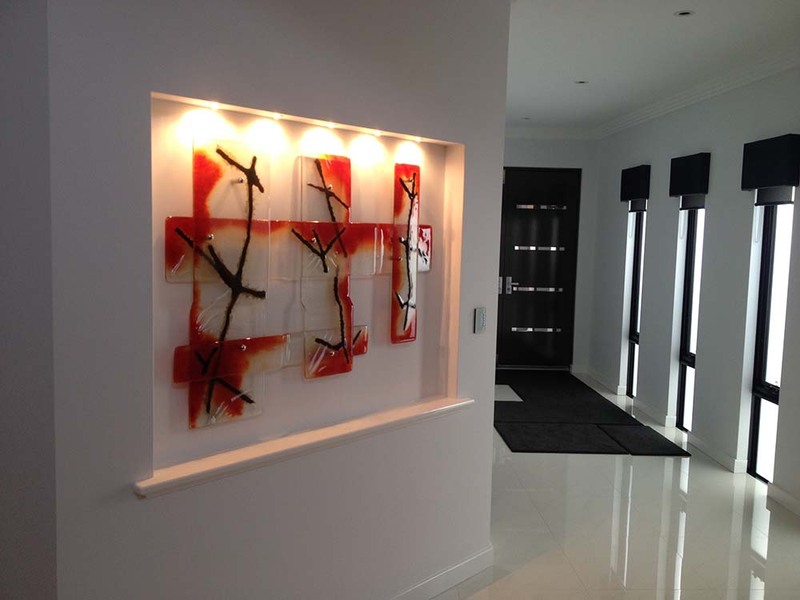 The brief was for something bright, minimal and eye catching. 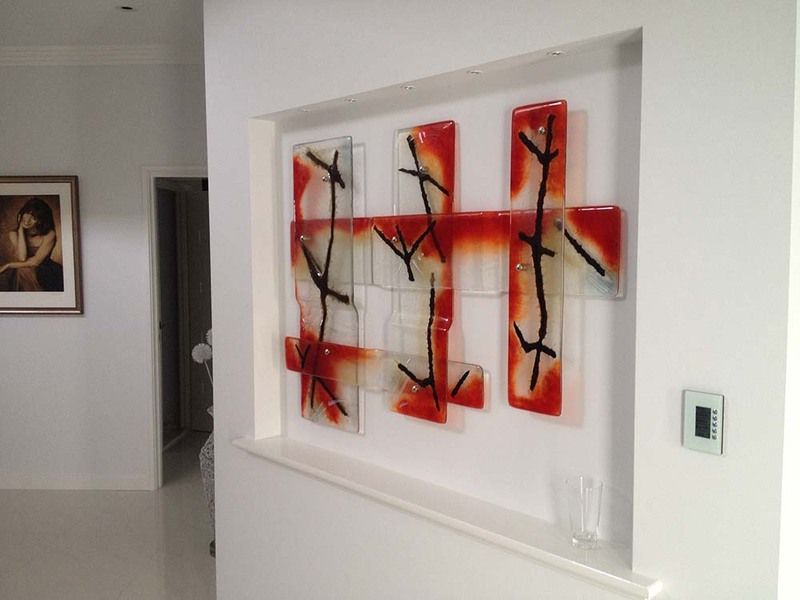 Joe and Ian designed the work with autumn in mind as the colours are bright and have fantastic impact in a very neutral environment.